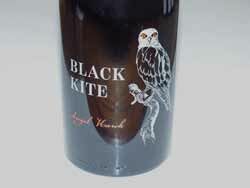 Black Kite Cellars produces less than 2,500 cases annually of Pinot Noir and Chardonnay from Anderson Valley (estate vineyard), Santa Lucia Highlands and Sonoma Coast. The wines are available through the winery mailing list and website at www.blackkitecellars.com, as well as select wine retailers and restaurants. 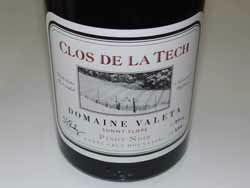 Clos De La Tech offered 5 wines in their fall release. Besides the wines reviewed here, there was a Domaine Lois Louise Twisty Ridge and a Santa Cruz Mountain Estates (previously named Domaine Lois Louise). I have written in the past about this very impressive estate and winery. 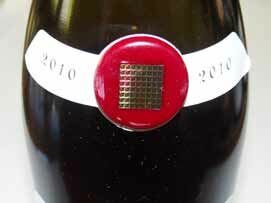 Owners and spouses Rodgers and Valeta Massey, are self-taught winemakers who founded Clos De La Tech in 1994. The wines are produced with no expense spared in a Burgundian style and have been received well by the wine press. A number of consumers who have a California palate, on the other hand, have not been as receptive or enthusiastic about the wines. Each bottle has a Cypress Semiconductor memory chip affixed to the neck of the bottle. Rodgers and Massey are pictured below in their home vineyard. Visit www.closdelatech.com. 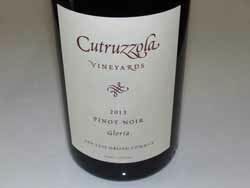 Cutruzzola Vineyards (Koo-troot-ZOL-a) is located in a coastal valley stretching east from the town of Cambria on steep, predominantly south-facing broken hills. The vineyard consists of five acres of Pinot Noir (clones are Pommard 5, 667, “828,” 115 and 23), and two acres of Riesling (clones 2 and 10), planted mostly on lime-bearing soils. The remaining portion of the 47-acre property has been left in its natural state. The vines are now between 9- and 14-years-old. 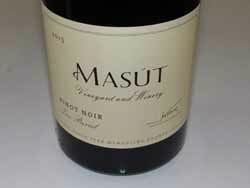 Masút Vineyard and Winery is located in the newly approved Eagle Peak, Mendocino County AVA in Northern California (see Pinot Briefs in this issue for further details). Masút Vineyard and Winery is part of the legacy of the Fetzer Family, one of the original founding families of the modern Mendocino County wine industry. Owners Jacob and Ben Fetzer are the third generation of Fetzer winemakers, the sons of Bobby and Sheila Fetzer, and grandsons of Barney and Kathleen Fetzer, the founders of Fetzer Vineyards in 1968. After Fetzer Vineyards was sold in 1992, Bobby Fetzer acquired a 1,500-acre ranch adjacent the family’s home ranch that the Native Americans referred to as Masút, which means “dark, rich earth.” Bobby, along with his young sons began planting vineyards there in 1997, creating the basis for the AVA. 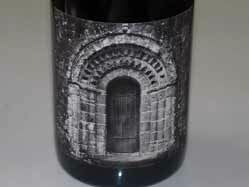 After Bobby passed away in 2006, Ben and Jake decided to build upon their family legacy and create Masút Vineyard and Winery, releasing their first Pinot Noir from the 2009 vintage in 2011. Visit www.masut.com. Pali Wine Co. released three of their 2014 cuvée wines this spring. 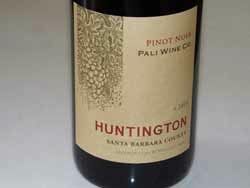 Founded in 2005 in Lompoc, Pali Wine Co. produces both premium single-vineyard Pinot Noirs and value-priced appellation blends named for different neighborhoods in the Pacific Palisades area of Los Angeles where the founding investors live and work. Visit www.paliwineco.com. Ponzi Vineyards is celebrating its 45th anniversary. Sisters Luisa and Maria Ponzi have been at the helm for more than two decades. 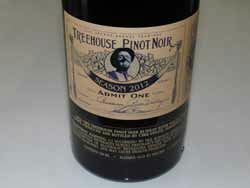 The two wines reviewed here are latest releases that are available in the national market. Visit www.ponziwines.com. 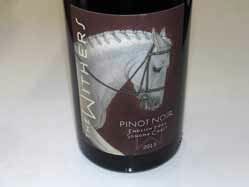 The Withers Winery was founded by Andrew Tow, a Westchester, New York-based business executive, who started out making a few barrels of wine for friends and family in conjunction with winemakers David Low and Tyson Freeman at Anthill Farms Winery in Healdsburg. The response was so positive that a label was born in 2013. The name, “The Withers,” refers to the tallest point of the body in many species, and for horses, the place from which height is measured. The winery was thus named in the spirit of striving for heights in wine production and as a tribute to Mr. Burgess, the Irish Connemara pony who has been a member of Tow’s extended family for almost 15 years. The winemaker is David Low, who has served in various winemaking capacities at Williams Selyem Winery, Papapietro Perry Winery and Anthill Farms Winery. Visit www.thewitherswinery.com.